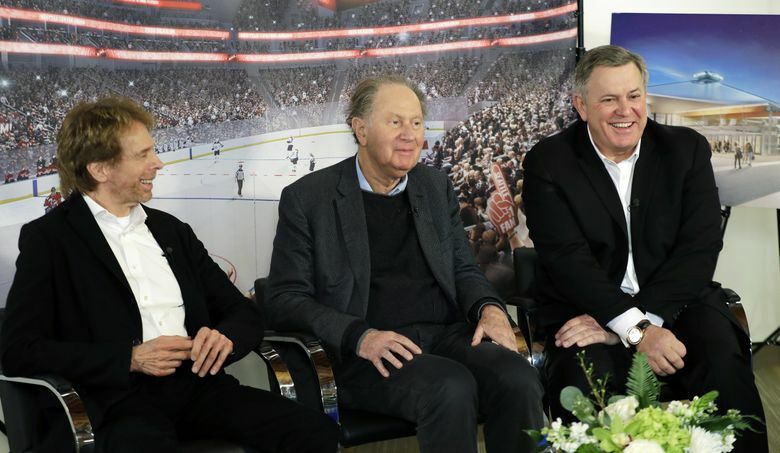 Future Seattle NHL owners David Bonderman and Jerry Bruckheimer say the league assured them they'll get same favorable expansion draft rules as a successful Las Vegas franchise and that they are also keen on an ownership stake in any future NBA team. Both also say they’re prepared to become owners in an NBA team if that league chooses to make one available through expansion or relocation. 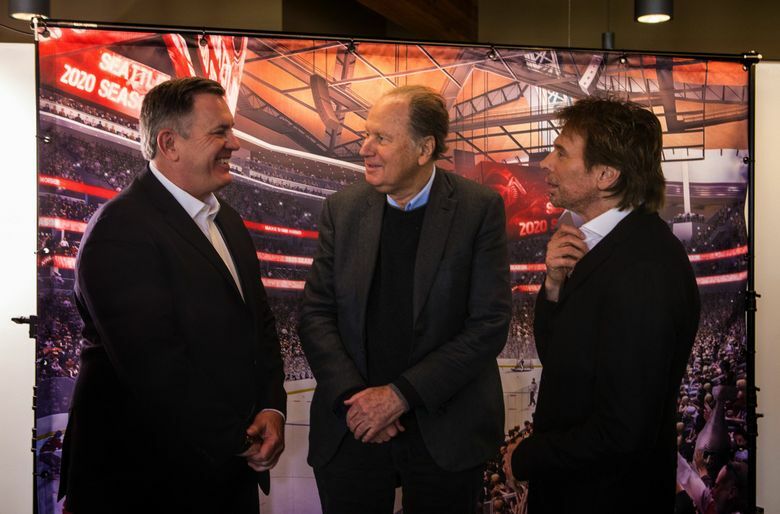 That word comes as billionaire investment banker Bonderman, 75, Hollywood producer Bruckheimer, 74, and their Oak View Group partners prepare to launch a season ticket drive starting at 10 a.m. PT on Thursday. The duo was in town Wednesday along with OVG head Tim Leiweke to promote the drive – which seeks to land a minimum of 10,000 season ticket deposits for games at a remodeled KeyArena starting in the 2020-21 season — and said in an interview the NHL has assured them of the same expansion draft process the Vegas Golden Knights enjoyed to help be competitive right away. Vegas entered play Wednesday at 41-17-5 and tied with Nashville for the second-most points in the league, just two behind Tampa Bay. They are already the most successful expansion team in NHL history and a legitimate Stanley Cup contender. The NHL held its first of several expansion drafts in 1967, but the Vegas franchise — due to the record pricetag — was given arguably the most generous player choices in league history. Teams this time were allowed to protect only seven forwards, three defensemen and a goalie or eight forwards and defensemen of any combination, plus a goalie. They also had to make available a defenseman and two forwards who’d played at least 40 games last season or 70 games over the past two seasons. 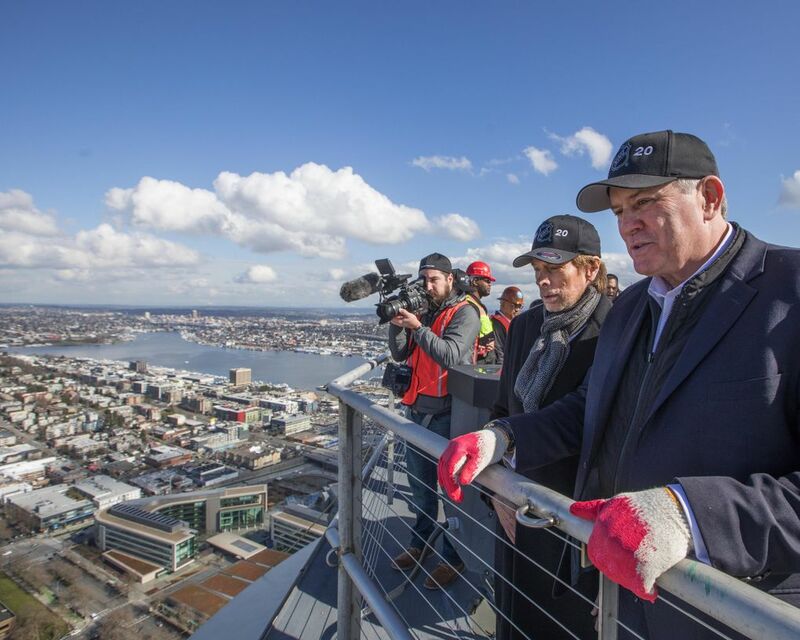 Bruckeimer said he’s long admired the Seattle market. Bonderman was born in Texas, but graduated from the University of Washington in 1963. He went on to fund TPG Capital and has a personal net worth recently estimated at $2.6 billion by Forbes. Bruckheimer’s net worth is said to be about $900 million, and he has produced blockbuster films like Top Gun, Armageddon, Flashdance, Beverly Hills Cop and Pirates of the Caribbean. Both say they view owning an NHL team as a challenge outside their known fields. 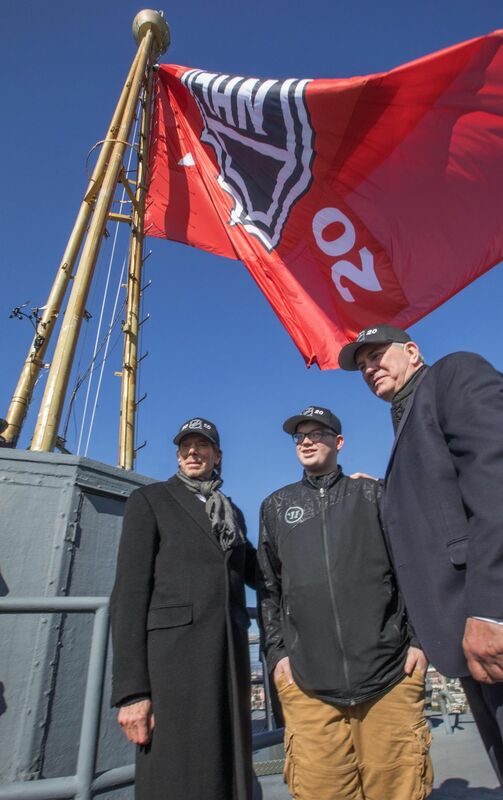 “I think it’s about hiring great people,” Bruckheimer said. “I don’t do anything very well. But I certainly know talent when I see it and whether that’s a director or a general manager or somebody who comes in and has a vision for something that you see is true and honest, that’s one of my skills. Bonderman, whose 26-year-old investment company has raised more than $50 billion through various private equity funds, has long been a fan of “many sports” and wanted to be involved in operating a team. About a decade ago, he and Bruckheimer tried to team up on bringing a hockey franchise to Las Vegas until the 2008 real estate crash devastated that market and caused them to pull out. They’ve already put down a non-refundable $10 million deposit with the NHL, which would be put towards the $650 million pricetag for an expansion team once one is awarded. For now, they are focused on securing the season ticket commitments within a couple of months, then getting approval to begin OVG’s planned $600 million renovation of KeyArena by October. Demolition would begin that month, with new construction to take place starting next spring. Before that can happen, the group needs a final Environmental Impact Statement (EIS) to be signed off on. 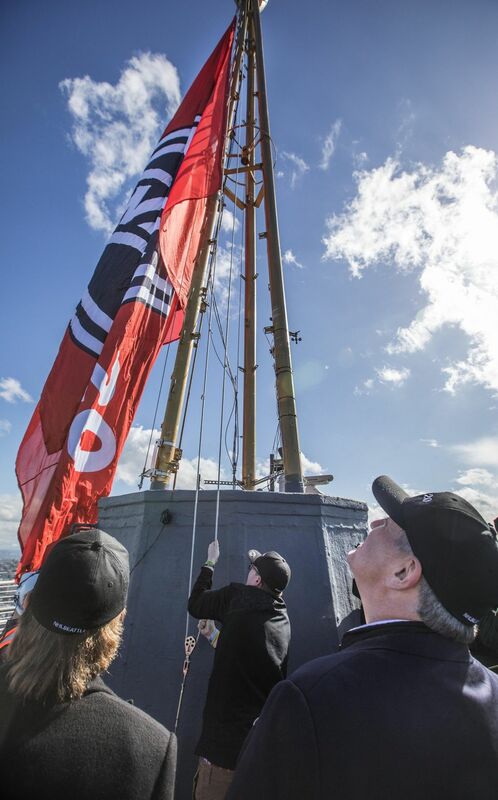 The EIS is expected to be completed later this summer, with OVG building room for potential appeals and challenges into its construction timeframe. They’d keep the traditional Sonics colors if an NBA team returns but are not yet set on any color scheme for the NHL franchise. 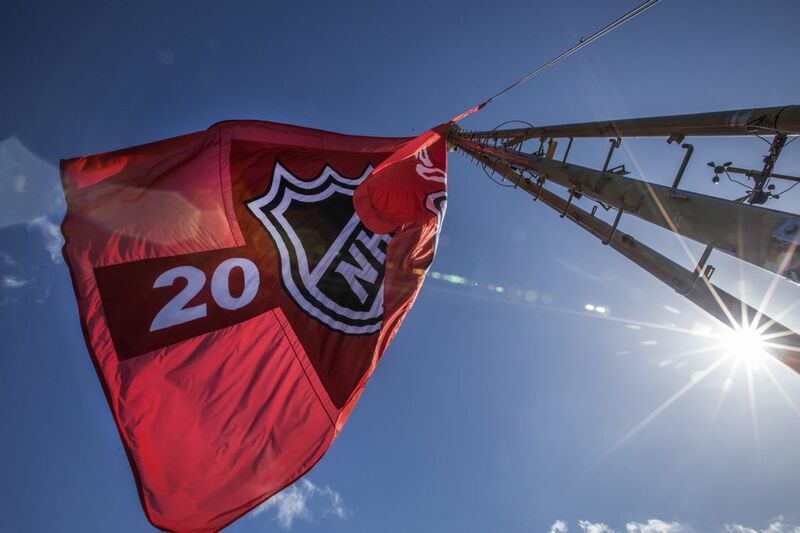 He also said the season ticket drive could help fans send a message “to all that are listening, not just the NHL and the commisisoner and the owners, but the industry. I think there’s not a doubt in our minds that this will be a resounding message sent by this community about their excitement and their passion. Fans wishing to make refundable deposits of $500 per regular season ticket and $1,000 for a “club” season ticket at center ice in the lower bowl can do so at the NHLSeattle.com website starting at 10 a.m. on Thursday. Any refunds can be obtained after full ticket prices are announced early next year.